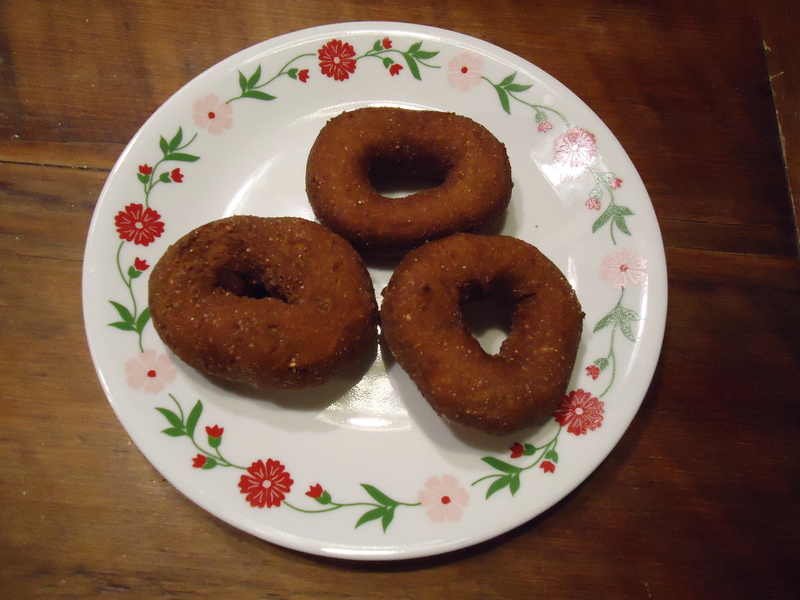 Yummy doughnuts of whole grain rye, corn, spelt and oat flours. -in a large mixing bowl beat the eggs and sugar. Stir in all other ingredients and mix well. -heat lard or oil to 365F and maintain the temperature between 365-375F. Too high burns, too low and doughnuts get fat soaked. -carefully lift the doughnuts from the cookie sheet and put into hot oil. Cook 3-4 at a time, no more. Too many and they reduce the oil temp too much and makes for fat soaked doughnuts. -doughnuts will sink and rise again. -cook about 1 minute on each side, they will be golden brown. -you can coat with cinnamon sugar, powdered sugar, powdered sugar mixed with cocoa powder, or eat my favorite way, plain! If you would like more personalized attention learning to bake whole food treats, please contact Paula Youmell to set up a Nutrition and Health Consultation. She can be reached at the following contact information. Enjoy radiant health today and every day!